This MS Excel workbook is designed for social enterprises that provide supportive employment to individuals who have barriers to employment. 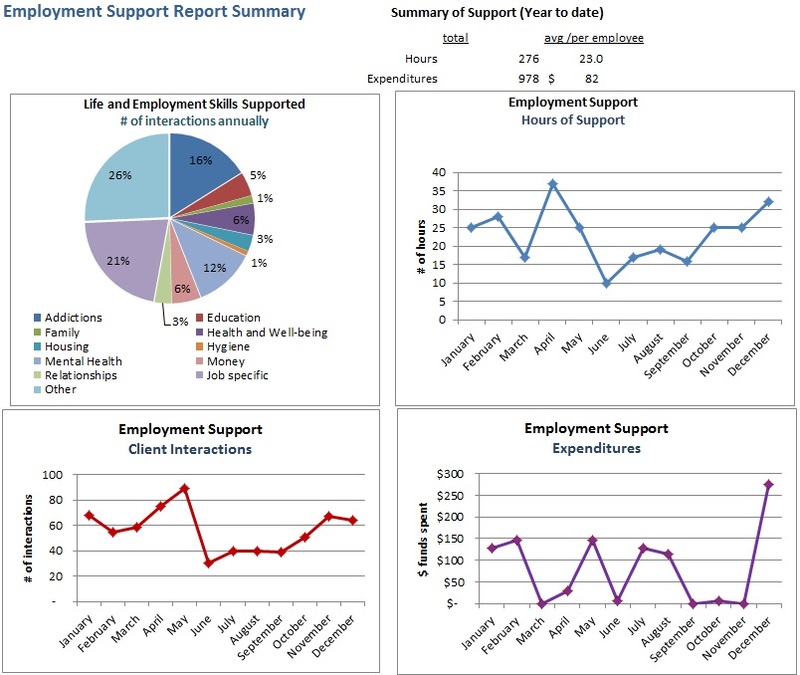 It tracks the particular supports you provide to these employees to help them succeed. It may be of interest to social enterprises that wish to gain a picture of the time and resources used to support employees, and the particular issues that come up and strategies used to address them. Two files are available for download - one with sample data and one without.